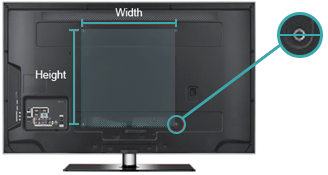 The TH-40100-UF is the ideal mounting solution for large displays and heavy touch screens weighing up to 330lb and up to 100" in size. Its low profile design supports the display just 1.5" from the wall while a range of pre and post installation adjustment features, including spacers for uneven surface mounting, help to simplify the installation process. Incorporating a lockable security bar and robust steel construction adds additional security in challenging public environments.